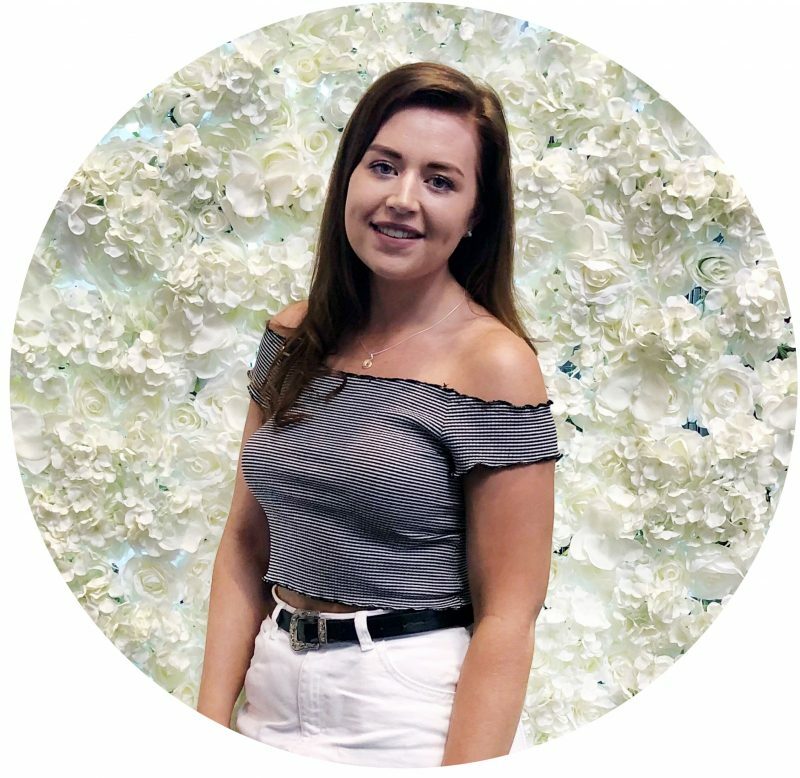 With Valentines just a week away i’m bringing you a few posts this week surrounded by the day itself to give you some gift ideas and to also let you know about some products i’ve been loving, because let’s face it i’m as single as single can get and if you can’t treat yourself then when can you? I’m kicking it off with a fragrance post for both the gals and guys out there, of two new launches from Paco Rabanne that you need to try out! When it comes to Valentines gifts you cannot go wrong with a fragrance and these two releases from Paco Rabanne would make the perfect gift for Valentines! Just in time for Valentines day, Paco Rabanne and Fragrance Direct have released two new aqua versions of their best selling champion male and female fragrances which are bound to be sell outs! 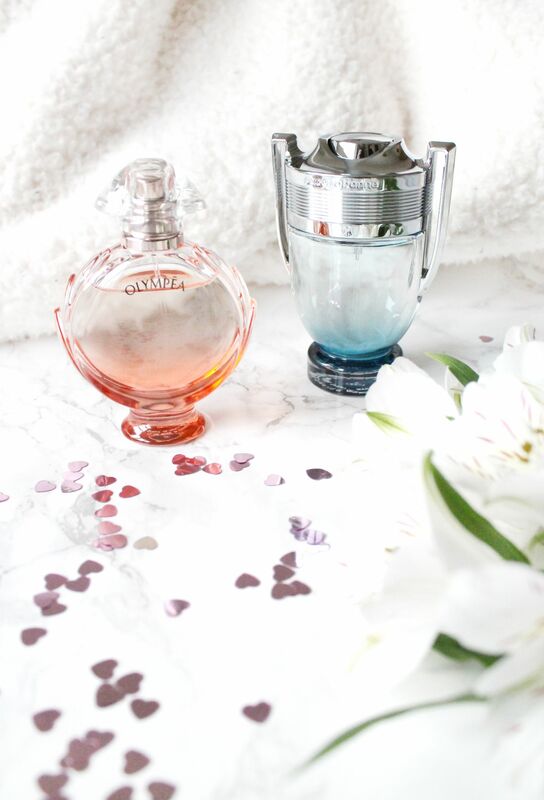 Paco Rabanne is a fragrance brand that I personally love, having gone through a fair few bottles of the Olympea fragrance since discovering it a few years ago and falling in love with it! I also know of a fair few males that really like both Million and Invictus, of which I think smell lovely on men and I always like when men take pride in the fragrances that they wear. Starting off with the new Paco Rabanne Olympea Aqua Eau de Parfum* (£40.95) of which i’m beyond excited to try out having loved the original of this for years. Similarly to the original this scent has base notes of salted vanilla, but is different as it has a more fresh and lighter scent from the aquatic accords and mix of ginger. On comparison the two scents do have similarities, but I find this one be a lot fresher but still as potent, in the sense that you only need a couple of sprays in order for it to last a whole day, as is one i’ll definitely be wearing more day to day. If you’ve not tried this fragrance before, or you’re a lover of the original Olympea then i’d recommend trying this one out! For the men out there, they have also released the new Paco Rabanne Invictus Aqua Eau De Parfum* (£42.95) which would make a lovely gift for your other half this Valentines, especially if they’re a fan of Paco Rabanne or more woody scented fragrances, as this contains violet leaf and woody amber notes, of which sound like a lovely combination and also smell incredible together. I personally really like the packaging of this perfume, as I find some men’s fragrances to be a bit gimmicky however I like the bold and strong vibe this gives off, and it represents the fragrance really well! Both of those fragrance have now fully launched on Fragrance Direct and they currently have some really good deals on fragrances in general, so i’d definitely recommend checking them out if you’re stuck for Valentines gift ideas, or you just want to treat yourself. What is your favourite fragrance at the moment?